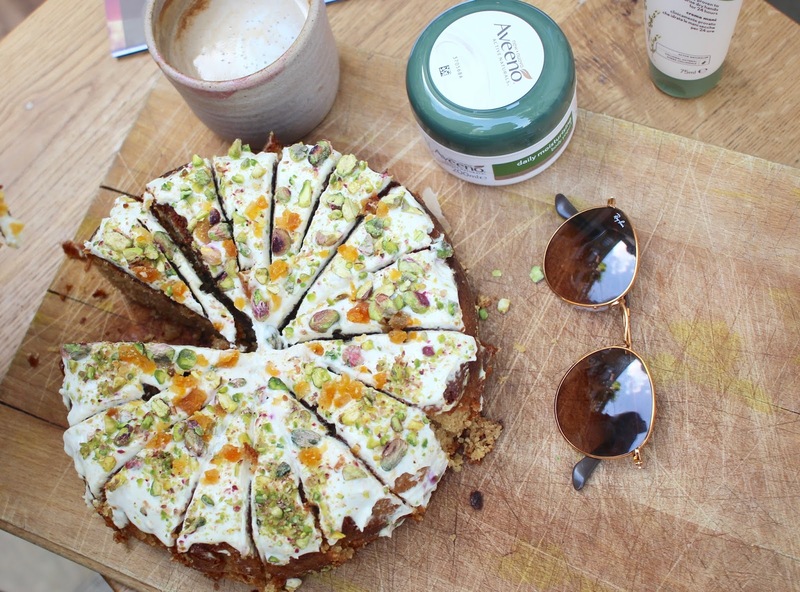 Healthy Breakfast With Aveeno At Neals Yard & Yoghurt In Your Skincare Routine?! 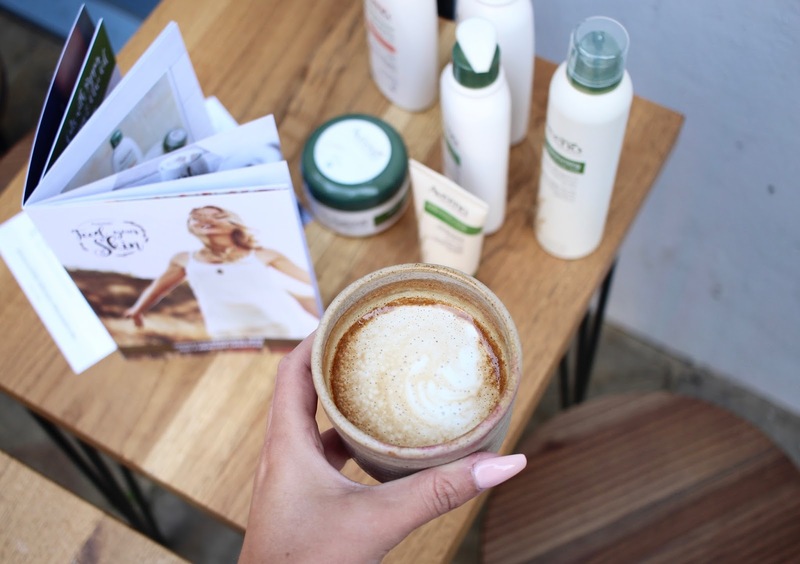 If you follow me on social, you may have seen that I recently headed to London for a lovely breakfast with one of my favourite skincare brands Aveeno®. 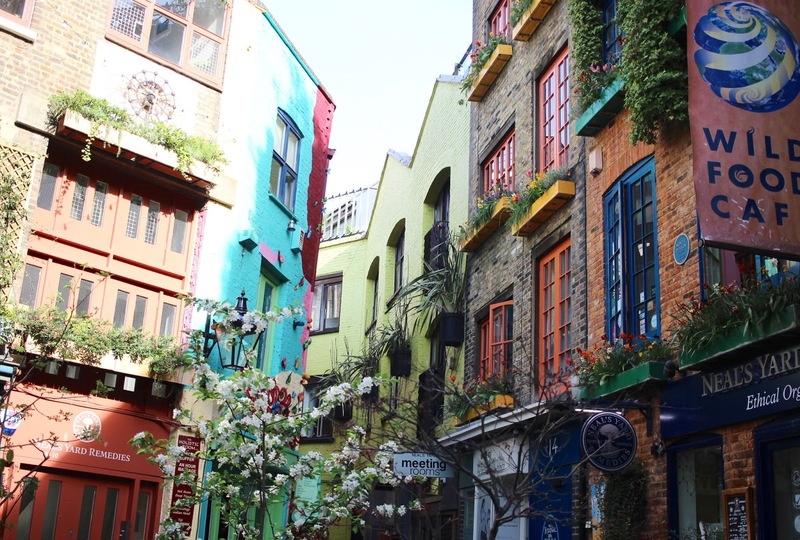 The event was hosted at the super cute 26 Grains on Neal's Yard - a part of London I've never visited before but one well worth checking out as it's super pretty with colourful buildings on every corner. 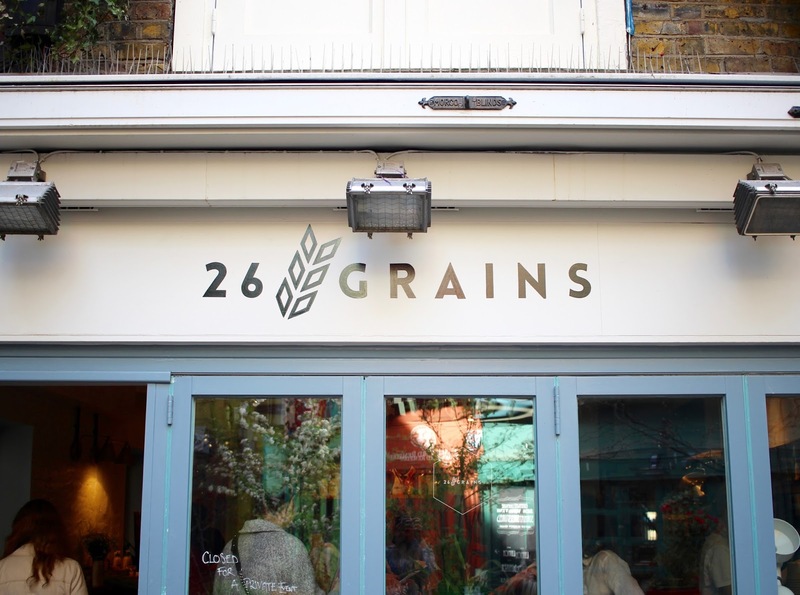 We were greeted by the lovely Aveeno® team and Alex Hely Hutchinson, founder of 26 Grains. 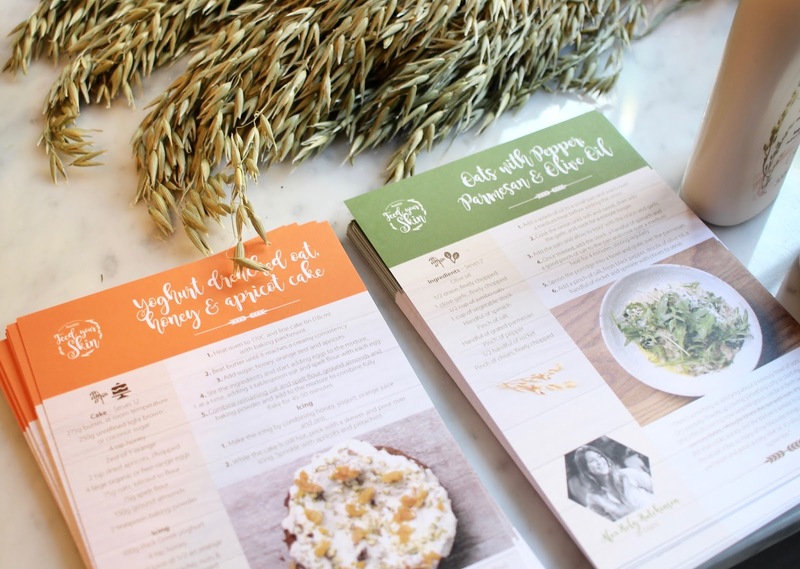 Alex created two healthy but delicious recipes to go alongside Aveeno's new products with the main ingredient being oats, as 26 Grains is famous for their range of oat/grain based dishes. 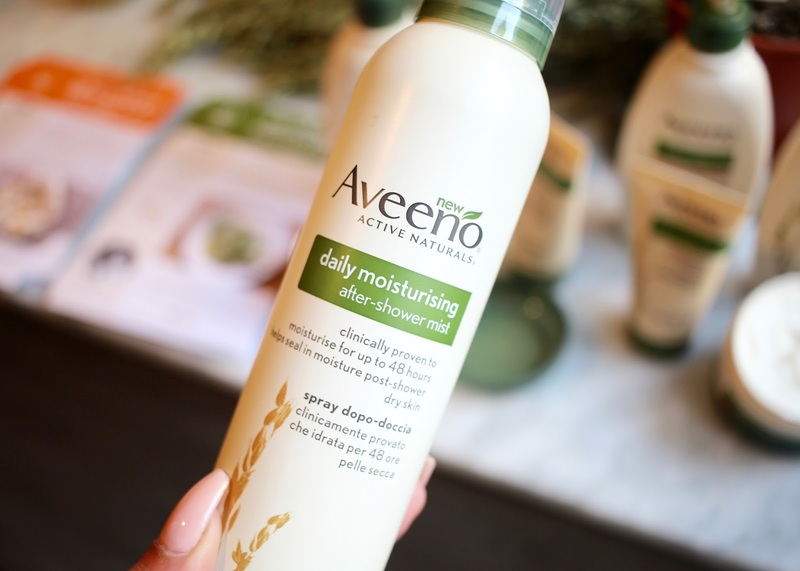 Oats are also an ingredient in Aveeno’s skincare due to their many benefits for the skin including soothing sensitivity, restoring moisture, cleansing and protecting. With this being said, it makes perfect sense for Alex to partner with Aveeno® on this launch. You may have read a post I wrote in collaboration with Aveeno® last year called ‘Inside & oat’(read it here if you missed it) which was all about the belief that healthy, beautiful skin is a reflection of your overall health and wellbeing and a big part of that is what we put inside our body, as well as the products we put on it. After all, great skin starts from the inside and what you eat plays a huge part in that. I know that if I eat too many pizzas or drink too much wine, my skin starts to pay for it. 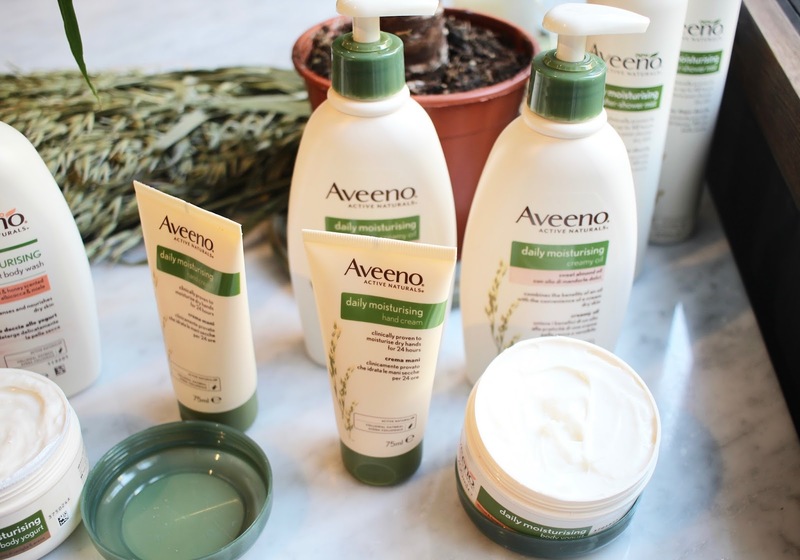 However, with a combination of healthy eating and Aveeno's daily skincare products that contain natural and skin beneficial ingredients, you can nourish your skin from the inside and out and be well on your way to a beautiful glowing complexion. 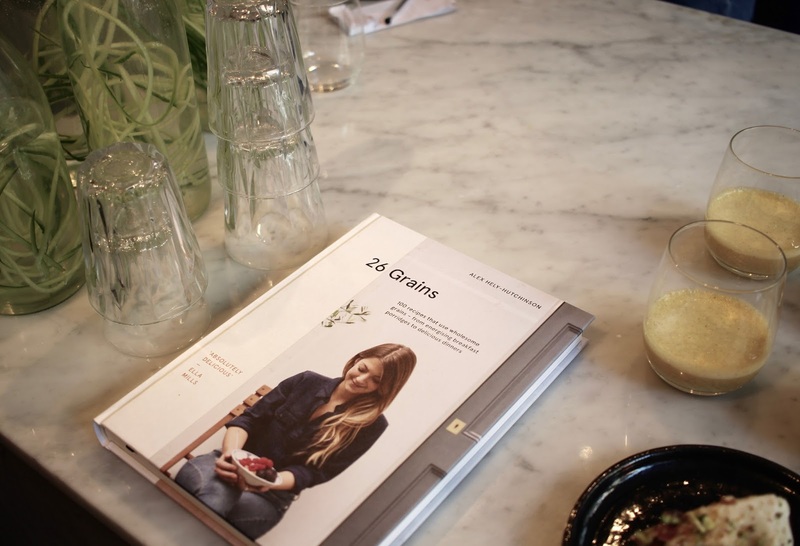 With this being said, we were offered a choice of two breakfasts to enjoy at the event - both of which were healthy yet delicious, showing there's no excuse to not eat foods that are good for our general wellbeing and of course, our skin! 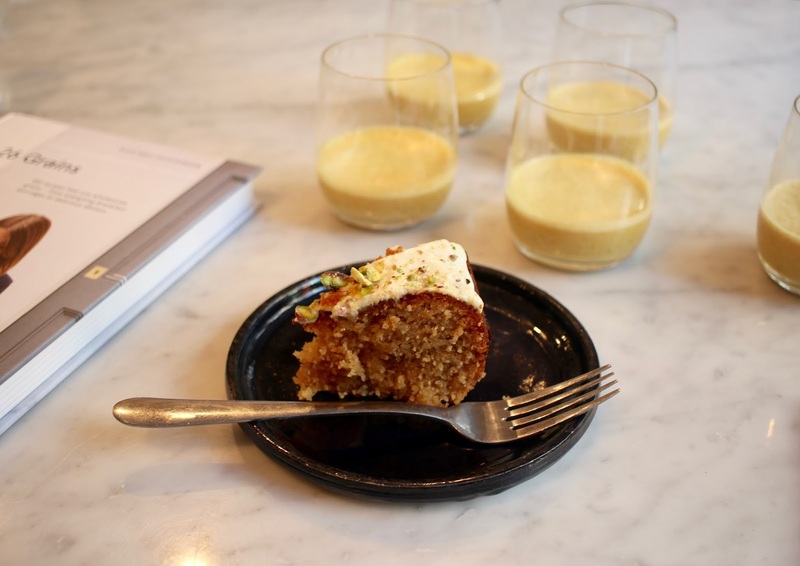 There was a yoghurt, oat, honey and apricot cake or oats with pepper, parmesan and olive oil to choose from and they were both fabulous. I usually go for savoury over sweet but the cake was too beautiful to ignore. As you can see from the photos, it looked amazing and it tasted even better. I can't believe it was healthy - I definitely need to recreate this at home. 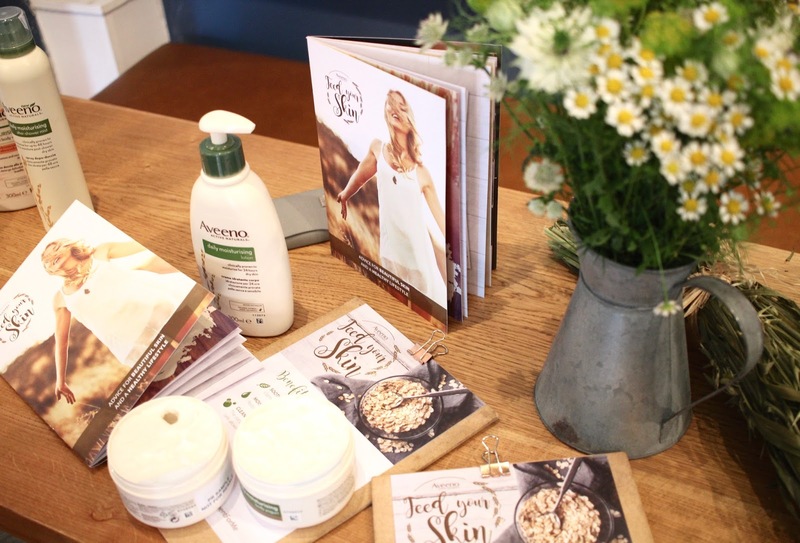 As I mentioned, the event was to launch some new additions to the Aveeno® range and oh my gosh, they have to be my favourite yet. I'm a big fan of all the products and have never tried one I haven't liked but these are definitely my favourite so far. 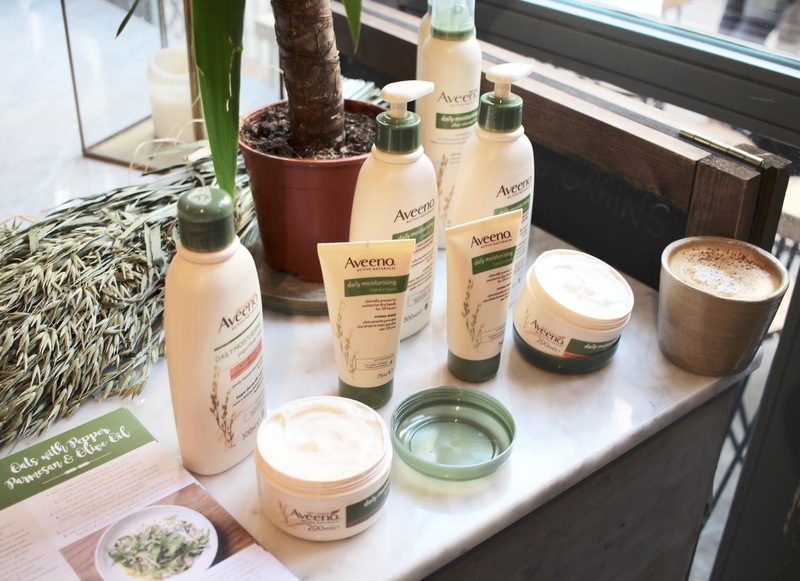 Aveeno® is all about creating products with ingredients that are proven to be beneficial for the skin and this new range is based around yogurt concentrate - an ingredient known to keep the skin nourished and hydrated and one that is perfect paired with oats - makes sense to mix them together right? I wasn’t aware of the benefits of yogurt in skincare before attending the event but Dr Shefali Rajopat, a consultant dermatologist, says “Yogurt contains a rich mix of powerful nutrients such as vitamin B12 and riboflavin, protein, calcium and Vitamin D.” Interesting, right? I was kindly gifted some of the products to take home with me and I’ve been using them ever since. I’ve been trying the new Aveeno® Daily Moisturising Body Yogurt, Yogurt Body Wash and the Aveeno® Daily Moisturising After-Shower Mist and as I said, I’m in love. The yogurt-like texture of the products is perfect - it’s thick and creamy but also really light at the same time and sinks into the skin almost immediately. What I find with Aveeno® is that the products do exactly what they say on the bottle - they’re simple and straight to the point, and I like that. I’m not one for an overly complicated skincare routine and I know I can rely on these products to do exactly what you’d expect from them - moisturise my skin, leave it feeling soft and supple and provide a radiant healthy glow. I’ve been especially impressed by their new after-shower mist as I find this so easy to use after showering and it’s given me the push I need to moisturise my full body more regularly. As well as having the same amazing ingredients as Aveeno’s other ranges and the addition of yogurt concentrate, these new products also have divine new scents - Apricot & Honey and Vanilla & Oats. I’m a big fan of sweet scents so both of these are right up my street and seriously, they smell good enough to eat. Thank goodness I had the cake to keep me going at the event or I might have been half tempted to dive right into them, haha. I also think they’re the perfect scents for Summer as they’re sweet but also really fresh and uplifting - perfect for an early morning boost. I’m such a big fan of these new Aveeno® products and I know they’re going to be a staple in my daily routine for the foreseeable future. Are you a fan of Aveeno®? Do you like the sound of these new products? For more information visit aveeno.co.uk. PS - watch the video below for that delicious cake recipe. *Sponsored post. As always, all opinions are my own.